Snaps into place at any level. No bolts required. Provides a secure platform work area on the tower itself. Use the SR245 Safety Ring to complete the Safe Work Environment at the level the Platform is installed. Consult ROHN Catalog Links at Footer Section below for ROHN Tower Details. 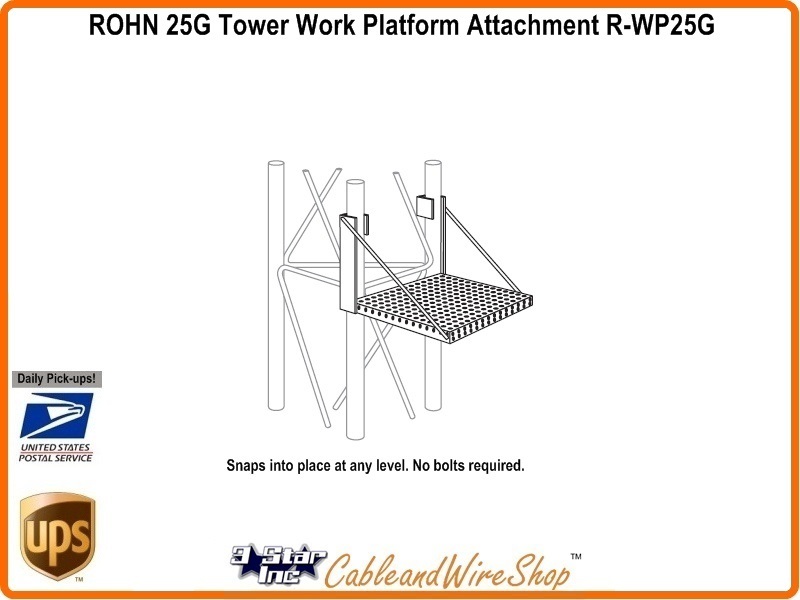 See the ROHN SR245 Work Platform Safety Ring that Snaps in anywhere on a 25G and 45G Tower Section for Bolt-Free Mounting, that with this WP25G, provides a more Safe Work Environment. American Steel... Buy ROHN, Buy American.